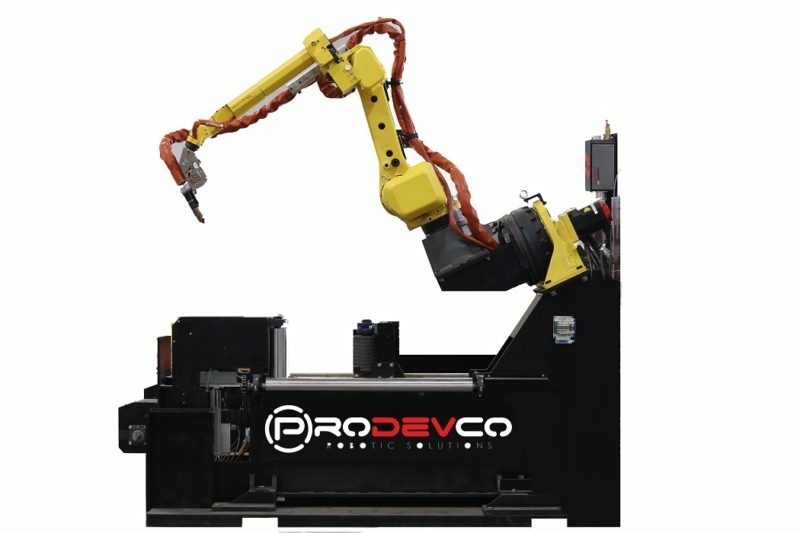 Our steel fabrication machinery, cutting and assembly systems combine robotics and optical measuring to boost your productivity. The PCR42 can plasma cut round tubes and standard structural steel profiles with the same equipment. Non-contact optical measuring is the heart of our operating system. “Thanks, Prodevco! The machine is working every day, and we are seeing up to 50% labor reductions in our projects. When we have some small problems, we work through them with the help of your technicians. This has been a great investment!”. Roland Thiessen, Alberta Western Manufacturing Ltd.